Could Turkish Deal Help Sustain UK Combat Aircraft Expertise? BAE Systems and Turkish Aerospace Industries collaboration seen as vital to sustaining the future of UK industry combat aircraft expertise. Collaboration between Turkish Aerospace Industries (TAI) and BAE Systems on the development of an indigenous fifth-generation fighter jet for the Turkish Air Force comes as a welcome relief for the British aerospace industry, which is in danger of losing its combat aircraft expertise. On the 28 January in Ankara, BAE and TAI signed a Heads of Agreement—the first step on the path to a full legally binding agreement or contract—to collaborate on the first development phase of TAI's TF-X fighter jet project. 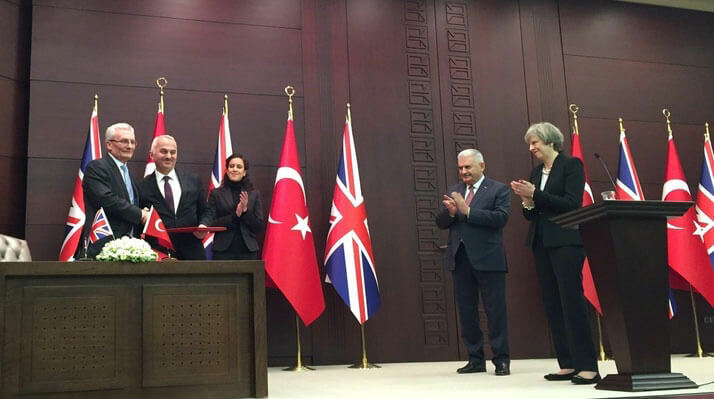 The agreement, announced by UK Prime Minister Theresa May on an official visit to Ankara to meet with President Erdoğan, was signed ahead of a planned contract worth more than £100 million. “The agreement confirms ongoing collaborative work on the design and development of the aircraft," stated Ian King, CEO of BAE Systems. BAE Systems is competing against Airbus for the right to develop and design the aircraft, which will replace the F-16 currently in use by the Turkish Air Force. The TF-X is expected to be rolled out in 2023 and will enter service with the Turkish Air Force in 2030. Turkey could potentially buy 250 of the aircraft, say analysts. BAE has been in talks with TAI regarding the fighter jet project since 2015. 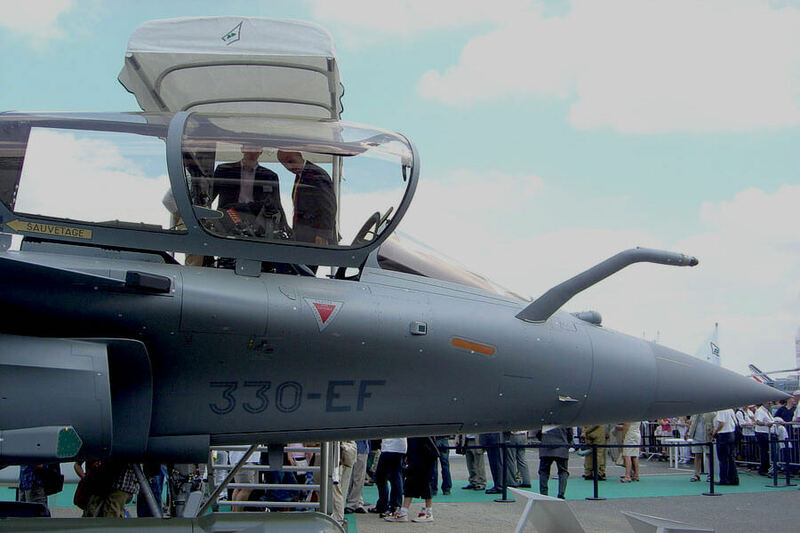 A formal agreement between BAE and TAI to co-operate on the project was expected last year, but was delayed in the wake of last summer’s attempted military coup against President Erdoğan. 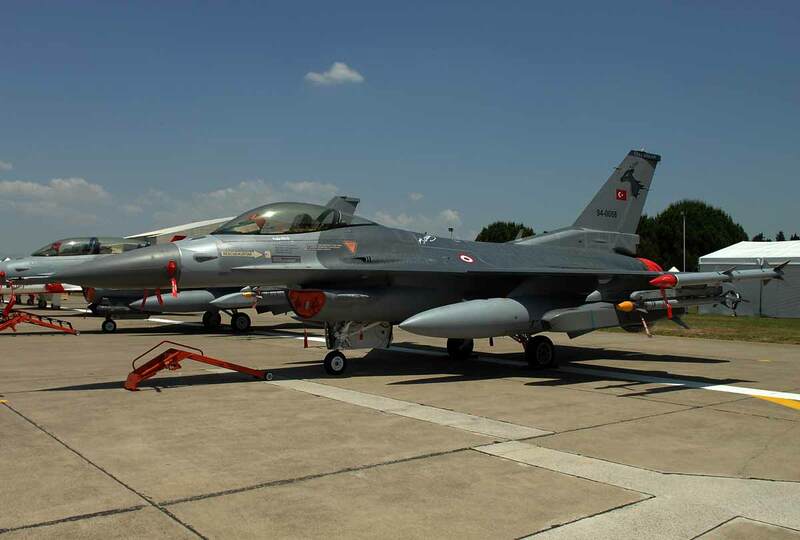 A Turkish Air Force F-16 i The TF-X is set to replace the F-16. In the wake of last year’s failed coup, EU countries like Austria, which were critical of Erdoğan’s response to the coup (mass firings and arrests), imposed an arms embargo on Turkey. Turkey responded to the Austrian embargo stating that it would look to develop more of its defence equipment indigenously in collaboration with foreign partners. The UK government also has its reasons for wanting to develop closer defence industry ties with Turkey. 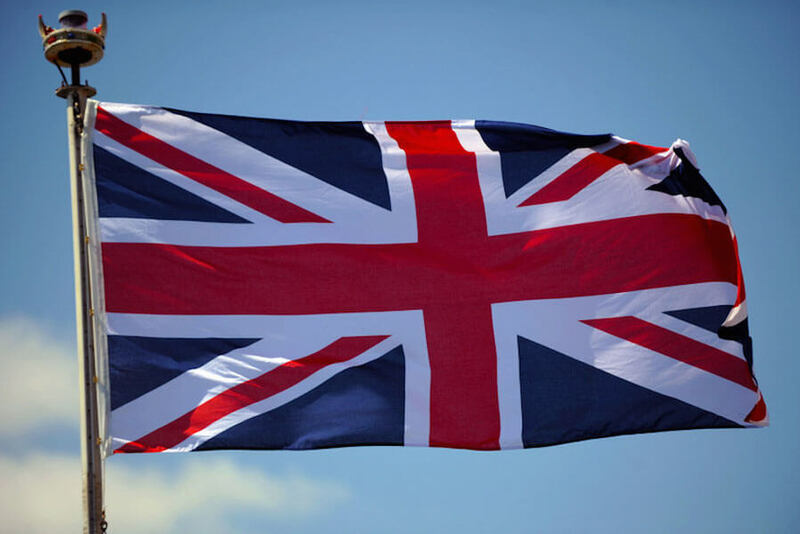 Although talks between BAE Systems and TAI commenced well before last summer’s Brexit vote to leave the EU, the UK government is now more keen than ever to shore up business for UK industry. “Is the [UK] government desperate to say it’s business as usual; the answer is yes?” says Trevor Taylor, Professorial Research Fellow in Defence Management at the London-based defence think tank, the Royal United Services Institute (RUSI). As the UK negotiates its departure from the European Union, Taylor says the UK government is likely to seek to collaborate more with other countries on European defence projects. Working more closely with countries like Turkey, which boasts the second largest military force behind the US Armed Forces in the NATO military alliance, can only be beneficial for the UK defence industrial base and for Turkey, which is seeking to leverage the expertise of companies like BAE Systems, which has experience of working on both the F-35 and Eurofighter Typhoon stealth combat aircraft projects. The UK government’s eagerness to do business with Turkey could also be viewed as a clever political move, say some commentators, given the role Turkey is playing in Syria where it is working alongside the Russians to negotiate a ceasefire. A project the size of TF-X, which is likely to run for many years, also gives the UK government the opportunity to maintain a high level of contact, and therefore influence, with the Turkish authorities, says Taylor of RUSI. “This is potentially, 20 to 30 years of linkage between two countries that carries risk, but also opportunities,” he says. More importantly perhaps for the UK aerospace industry, the deal with Turkey is an opportunity to maintain combat aircraft design and development expertise, which it would have otherwise lost once the Eurofighter Typhoon and F-35 projects—both of which BAE Systems is involved in—ran their course. "UK expertise in designing and developing combat aircraft is under threat,” says Taylor. “[The Turkish deal] will potentially help maintain an industrial capability in the UK that the Ministry of Defence may well need to call upon in future." Rolls-Royce put forward its EJ200 engine for the fifth-generation Turkish fighter jet. Justin Bronk, Research Fellow, Airpower and Technology at RUSI, says BAE Systems has experience integrating the EJ 200 into the Eurofighter Typhoon, and having worked on the F-35 programme, BAE also has the know-how when it comes to sensor integration and air frame design. TAI also has experience of working on the F-35 programme. It was a second source for the F-35A centre fuselage. Both a single and twin-engine designs are being considered for the TF-X, but given the intent to export to other air forces, Bronk says there may be pressure to adopt a single-engine design, which is less expensive and therefore more likely to appeal to export customers.